Adapted from early military use, the bomber jacket is a time-honored classic that has stood the test of time, and in today’s modern fashion world, it carries some very meaningful style connotations with it. Picking up a lot of steam in the late 80s, esteemed fashion houses, such as Hugo Boss, Versace, and Ralph Lauren, have all created their own interpretations of this historic jacket, which have no doubt left an indelible print in current mainstream fashion circles. The bomber brings deep feelings of nostalgia for me. When I reached the age of 14, I received my very first bomber jacket and high-cut Dr. Martens boots, which, to this day, make up one of my all-time favorite outfits growing up. To put into words, I can only describe the feeling of empowerment when wearing them. Many years later, I can proudly admit that the bomber jacket still plays an integral role in my current fall/winter wardrobe. 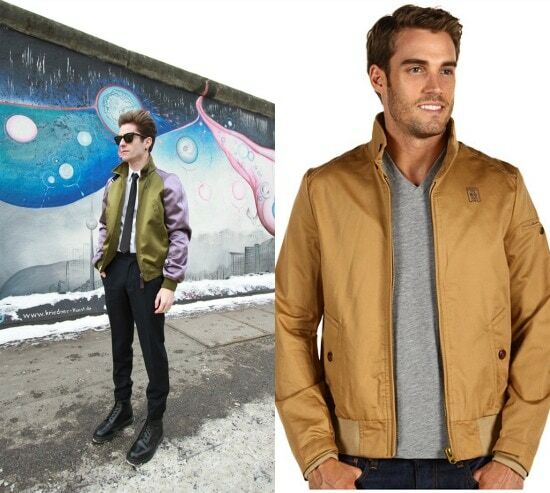 When you think of a bomber jacket, versatility is likely not the first thing that comes to mind. However, taking into consideration the many contributions of some of our most beloved designers over the years, the bomber can now be combined in various outfit selections depending on what you are looking for. Available in a variety of textures, colors, and designs, the jacket can help “play up” just about any outfit you can think of. 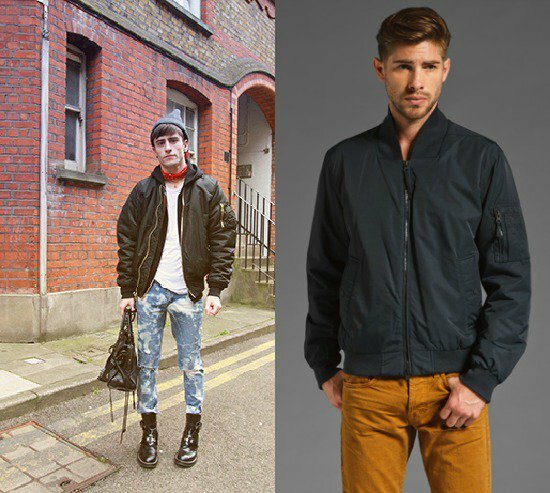 While picking the proper bomber jacket can still be a thought-provoking process, we’ve decided to put together some trendy looks that can help show how this featured jacket can be used. To help demonstrate, we decided to showcase some inspiring outfits by Prince Pelayo, a fashion blogger from Kate Loves Me. 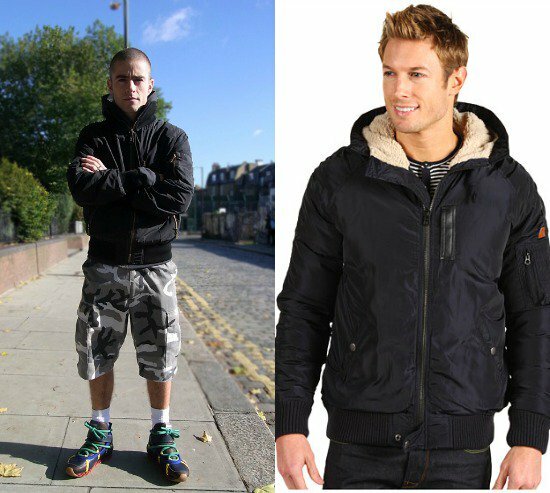 Most regularly used in casual outfits, the alpha flight style bomber is a safe yet stylish choice. Available in a variety of colors, the most popular rendition comes in a nylon shell exterior with the standard gartered waist. In this photo, Pelayo combines it with the classic white t-shirt and denim combo. To complete the look, he chose to go with a black hoodie, a pair of monk strap leather boots, and some chic accessories (a gray toque, a handkerchief, and a leather hand-carry bag). Similar in style and texture to the casual option, bomber jackets can also work well in sport-luxe-inspired outfits. With a more rugged type of appeal, these styles can carry different cuts and textures. For example, you may see samples with chest pockets, sleeve pockets, hoods, or, in this case, a high-neckline collar. Pelayo stylishly matched his bomber with some appropriate sport-inspired pieces: camo-printed cargo shorts, sneakers, and a hoodie. With modern times come modern designs. Thanks largely to design houses like Versace, Alexander McQueen, and Dolce & Gabanna, many different styles of printed bombers have made their way onto the runways and eventually into our favorite shops and boutiques. Some of the more popular models have been camo, floral, and paisley prints. As with any statement piece, it’s important to surround a printed bomber with muted pieces that blend harmoniously while not clashing with the featured item. Pelayo displayed this perfectly in one of his recent posts. He featured a black-and-white checkered bomber and blended it with a plain white t-shirt, black fitted denims, a pair of thick-soled leather shoes, and a shoulder-strap bag to complete. Last but definitely not the least is the surprisingly formal type of bomber. If achieving a suave formal look is your goal, it’s best to find a jacket with a smooth, clean finish and no unnecessary slits, cuts, or additions. One that has a collar is also recommended. Let’s face it; ties always look better with outerwear pieces that either have collars or lapels. 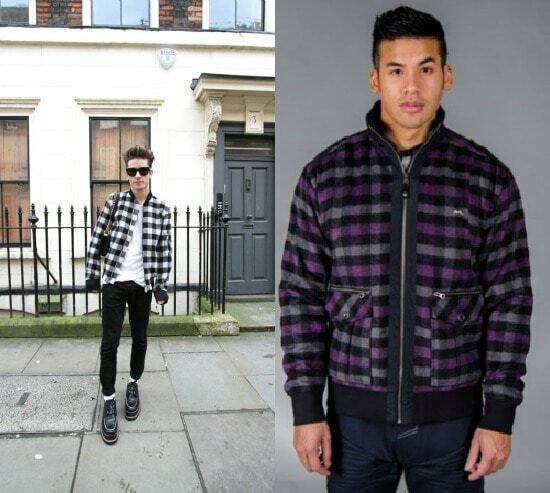 Wearing my new fave bomber jacket of the moment, Pelayo was seen wearing a silk version in olive and light purple. He styled it with the “holy trinity” of men’s formal wear — a white button-down, a black necktie, and a matching pair of black dress trousers. For some added edge, he opted for a pair of Dr. Martens boots and black sunglasses. Impeccable styling job here!